Mock Test is a wonderful way to evaluate the preparation level of candidates. IIT Kanpur has released the Mock test December 2017. There was a Help Video for Mock test also which will help candidates to get the idea on how to conduct the online exam. 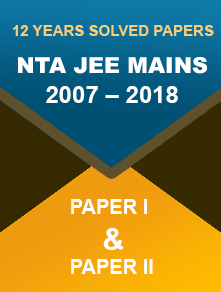 JEE Advanced Exam 2018 will be a Computer Based Test only and there will be no pen and paper mode. So it will be a great help for candidates who will appear in the CBT format for the first time. The Mock test is the exact replica of the main exam question paper. Applicants will know the exam pattern, marking scheme and question types and make strategy for the day which will work best for him or her. As the mock test is a Computer Based mode, many of you must be confused and unaware of the steps. So here we will discuss the step by step guidance on how to execute the exam. But all the candidates must keep in mind, the exam pattern and marking scheme of mock test is same but the questions will be definitely different. This is only a way to provide clear idea about the exam process. 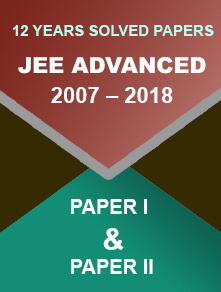 Please find below the procedure to appear JEE Advanced Mock test. All applicants must follow the below stated steps to hassle free execution of JEE Advanced Mock Test. You will be redirected to the sign-in page. After clicking Sign-in button, the instruction page will appear. They can select the language either Hindi or English and select Next button. The instruction page of preferred language will be displayed. After going through the instruction thoroughly, they can again select the default language for rest of the exam. They need to check the box for accepting all the given instructions and then have to click on “I am ready to begin”. Now they have to start to answer the questions one by one. They need to keep in mind the status of the answers by checking the status button located at the bottom part of the screen. Here are the colour of buttons and their significances. Gray: Questions you have not visited yet. Red: Questions you have not answered. Green: Questions you have answered. Purple with green circle: Questions which you have answered but marked for review. From the right section of the screen, click on the question number and you will be directed to the question directly. After selecting the right answer, click on ‘Save and Next’ button and answer the next question. To review a question, they need to click ‘Mark for review and Next’. To deselect an answer, they need to select ‘Clear Response’ button. To change the answer, they can select another button for preferred answer. After completion of the exam, select Submit button. The total time duration is 3 hours or 180 minutes. The clock on screen will be showcasing the remaining time in the exam. The section from which the questions are set is located at top part of screen. The section you are answering will be highlighted. You can easily navigate between all sections and questions with the help of cursor. 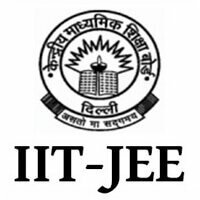 The mock test for JEE Advanced is a great way to manage time. They also know subject weightage and type of questions. So don’t wait and appear on JEE Advanced Mock test immediately.